AN Australian man has taken the advice 'only pack the essentials' to a new level after checking in his luggage at Melbourne airport on Saturday, which consisted of a single can of beer. The passenger was travelling to Perth on Qantas flight QF777 and was determined that his Emu Export lager would be coming with him. 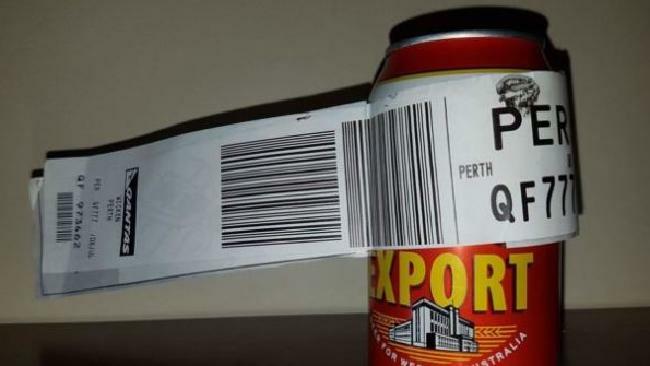 The beer was tagged and sent off to be loaded onto the plane with the rest of the baggage, which the Melbourne ground staff happily did - but not until they had snapped a few pictures of the unusual check-in item. Dean, the man behind this ingenious idea, was thrilled to see his lone tinny arrive on the conveyor belt at baggage claim and told the Daily Mail he was unsure if his luggage would make it. 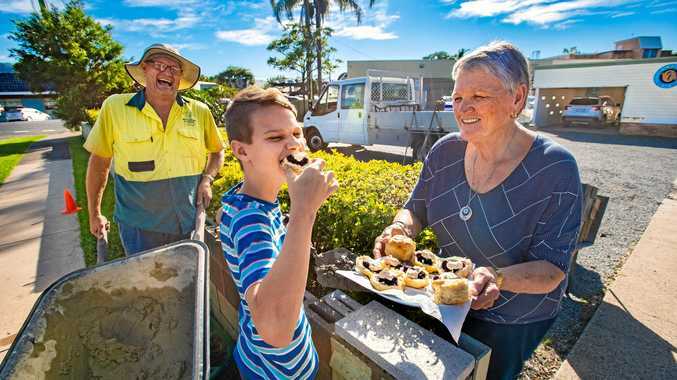 "My mate works at the airport and we hatched the plan as a laugh - I half didn't expect it to come out the other end," he said. "But when it did it was sent out well in front of all the other luggage, so the baggage handlers obviously appreciated it." Dean told UNILAD that when he saw a group of people standing around the baggage claim area with their phones out he immediately knew his export had arrived. "Sure enough there she was, alone on the carousel proudly making her way around. And there I was in my flanno and RMs to greet her. It was perfection." He was prepared to file a lost luggage report if his precious cargo didn't turn up, but there was no need as it arrived in pristine condition. According to Peter Ellis, of travel site FlightMood, seeing beer come through check-in it is not as unusual as one might think. "Export being checked in as baggage is not an uncommon site so I wasn't even surprised," he told Daily Mail. "I've seen Export being flown as far as Greece - now that's dedication!" Dean's plan was a clear success, setting a whole new precedent for any beer-loving voyagers wishing to 'travel light'.